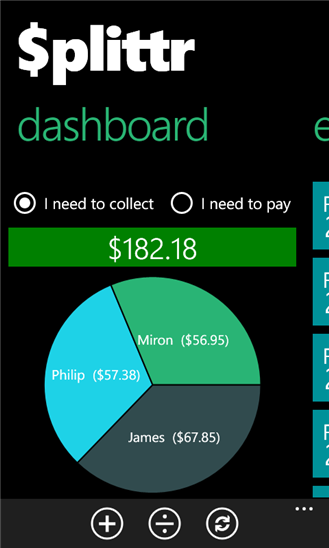 Splittr lets you access Splitwise on Windows Phone 8. We are so excited to announce that Miron Vranjes has developed the first Windows Phone 8 client for Splitwise, called Splittr. It’s free and awesome, so if you use Windows Phone 8, go grab it now! For over a year, users have asked us “when are you going to support Windows Phone?” Miron stepped up and did it himself, using our open API. Splittr is a 3rd party app not developed by us, but it works with your existing Splitwise account and everything should more or less work with Splitwise as normal once you sign-in with Splitwise (just like a “Login With Facebook”). We like the UI he designed – it’s a very “Metro” look. 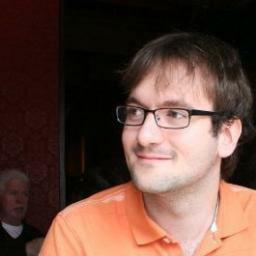 Miron tells us a Windows Phone 7 version will also be out soon. For now, this is just for Windows Phone 8. It has a tax/tip functionality that we don’t have yet – cool! This is actually the 1.0.9 version. After a small update, the app now supports supports groups as well as friendships. Users who have multiple groups will notice a missing feature – you will not be able to sort expenses/balances by that specific group, as you can in the website or native Splitwise apps. However, Splittr will tell you the group when you view a specific expense, and will let you select a group when you add one. Miron is a passionate Windows Phone lover and Splitwise user who did this all on his own time and as a labor of love, just to make sure Splitwise was available on the platform. Our APIs are still not fully public, because as Miron discovered, they are not documented very well and are still changing quite quickly. But if want to build your own app that works with Splitwise, or adds a feature that you think Splitwise should have, let us know and we’d love to send you the link with some explanation on how to use the APIs. That’s great! I also wanted to mention my Splitwise app will be out shortly, it is in certification right now! Keep up-to-date at centwiseapp.com. Also super excited for your version Kamran! We’ll give you some blog love when it’s out. Thanks so much for the shout-out guys! The reception so far has been amazing and I’m really happy lots of folks are finding the app both beautiful and also very useful. I tried to make an app I would love to use personally and also one that embodies Metro and the great Windows Phone community. I’ve already heard a bunch of feedback and feature requests from users, so I’m working on a ton of exciting updates to the app over the next few weeks. Highest on that list is making a WP7 version (I’m shooting for next week!) and also a ton of tweaks and improvements to the bread-and-butter functionality we love in Splitwise, especially managing expenses and groups. Just a quick update for the curious. A large update to enable a lot of the missing groups functionality was submitted to the store last night and should be making its way to everyone shortly. It adds the ability to personalize groups with a photo that’s used for a pinned tile, something unique to Windows Phone, and also has a number of other feature improvements. I have the app running on Windows Phone 7 but I want to make a few tweaks so that it works well with that generation of phones (e.g., the aspect ratio of the layout and some performance kinks). I’m hoping that version will hit the store sometime this week as well. As always, thanks so much for your feedback and support! Hey Miron, the app is great and really appreciate your hard work. I had a question though. While adding a bill, I don’t not see the groups that we have created. I wonder if I add a bill and then split it amongst friends, will it automatically reflect in the group? If not, are you thinking of implementing it? I’m glad you resolved it! Group support was lacking in the first few versions but I’m hoping you’ll be very happy with the latest updates, which have brought full group support. You can go to a specific group to file a bill under that group or go into Settings to set a default group for expenses. I want to be able to edit friends and their details. Right now I can’t even delete them.